Grizzly bears have been back in the limelight lately due to their starring role alongside Leonardo DiCaprio in an epic attack scene in Academy Award-winning "The Revenant." But these mighty bears, which once roamed from Alaska down through most of North America, were killed to near extinction in the 1800s by people like frontiersman Hugh Glass, played by DiCaprio in the film. Now, after a concerted effort to nurture one such population around Yellowstone National Park back to health through strict no-kill regulations under the Endangered Species Act (ESA), it may soon be permissible to hunt grizzlies again. The U.S. Fish and Wildlife Service released a proposal on Thursday that would lift four-decade-old protections on the fearsome bears in parts of Montana, Idaho and Wyoming. Hunting within Yellowstone National Park would still be prohibited. The bears were originally placed under protection in part because they were reduced to about 2% of their former range south of Canada. U.S. Fish and Wildlife Service Director Dan Ashe told The Associated Press that this should be considered good news. "By the time the curtain closes on the Obama administration, we are on track to have delisted more species due to recovery than all previous administrations combined," he said. "We've done that because of several decades of hard work, like with the grizzly bear." Other species that have recently been removed from the ESA include the gray wolf, brown pelican, and flying squirrel. Whooping cranes, bald eagles, manatees, California condors and a number of other species have also been saved by the act since it came into law in 1972. Since ESA protections went into effect for the grizzlies in 1975, the Yellowstone population has grown from 136 animals to between 700 and 1,000. Recently, this increase had led to more human encounters—and six people have been fatally attacked since 2010. It's legal to kill the bears under extenuating circumstances, and in 2015 a record 59 bears were killed, many by wildlife managers following up on livestock attacks, according to The AP. The delisting in no way means it's open season on grizzlies. Protections would remain in place for a population of around 1,000 bears in the Glacier National Park region and other smaller groups across Montana, Idaho and Washington state. In Alaska, where grizzlies enjoy their biggest stronghold, hunting is already allowed. As far as the Yellowstone bears, if their population drops below 600 hunting would be prohibited except in cases where the bears threaten public safety. Environmental and wildlife groups had a range of reactions to the announcement. The Humane Society is against the change, saying that the Yellowstone grizzly bears "are far from recovered." In a statement, Wayne Pacelle, president & CEO for The Humane Society, said the move threatens to open up a trophy hunting season and that other forms of human-caused mortality are up anyways. The "bears are facing a range of threats to critical food sources, including white bark pine nuts and lake trout," he said. 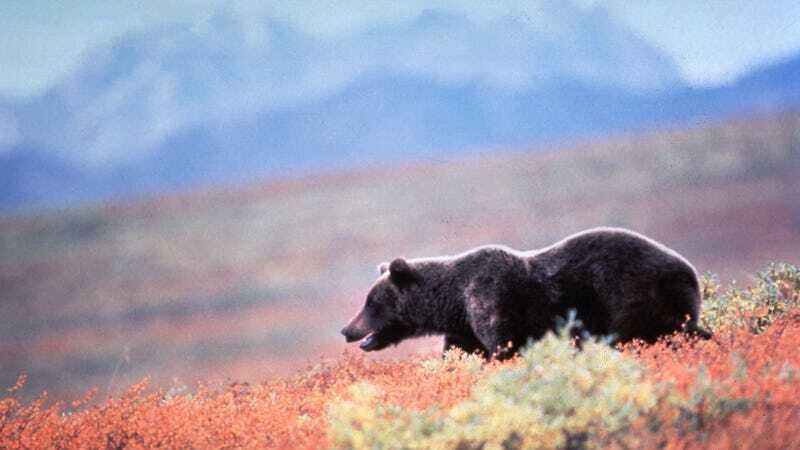 The National Wildlife Federation hailed the delisting as a major conservation success while also urging all parties to make sure grizzlies continue to thrive. In the end, in order for this next stage to be successful all stakeholders must work together. Experts with the Greater Yellowstone Coalition, the group in charge of overseeing the transition, said support is contingent on the successful implementation of their plan over the next five years. “The population has been relatively stable over the last ten to twelve years and so we want to maintain and be sure that all of the mechanisms that are in place will make sure that continues into the future and doesn't allow for some arbitrary reduction of the population,” said Chris Colligan, Wildlife Program Coordinator for the Greater Yellowstone Coalition.